Ixalan is upon us, and players came out in droves this weekend to hunt for booty. Wizards sponsored two Grand Prix, but they were both limited, so all eyes were on Dallas for the SCG Standard Open. After one of the worst Standard formats in the game’s history, this is a welcome refresh. 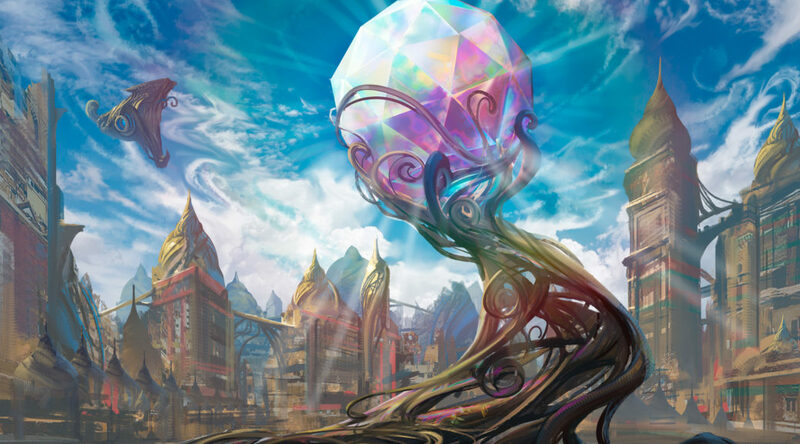 Not only did you have a set full of cool tribes to get people’s juices running, players were also treated to a new day, a new beginning for Standard. And best of all, it didn’t disappoint! There were five archetypes in the top eight of the SCG Open alone. This weekend’s headliner is probably Hostage Taker, which not only performed admirably, but was noticeably referenced in many of the top eight player profiles as the card that impressed them the most. The ship (hah) has sailed on Hostage Taker at this point, although there was really never a great time to buy in. The absolute lowest price point for this card I’m aware of was $4, which certainly looks good when they’re sitting at $12, but wait until you see how many copies actually sell, and don’t forget all the risk that’s wrapped up in that as well. It feels weird putting Walking Ballista, arguably the best card in Standard — a fact everyone knows — on this list. And yet, I find myself wondering if there isn’t still a good bit of room left for it to occupy. In almost all situations I’d tell you that a $12 Standard card is not a wise investment, and that you should be selling them immediately. However, Walking Ballista isn’t your ordinary “good Standard rare,” in the way that Boros Reckoner was, or Hostage Taker is looking to be. Walking Ballista first and foremost is colorless, which means anyone that wants to play it can. It’s also found in Modern, as, amazingly, the fifth most played creature, with 15% of decks looking for at least a copy. It even pops up in Legacy and Vintage, although not as much, and those don’t generate nearly as much demand as the former two formats. Shooty man robot even clocks in at a respectable 3,500 EDH decks. My point here is that there’s a lot of demand from Standard itself, and also from most every other constructed format in Magic. $12 would normally be close to the ceiling on a strictly Standard rare, but with all of this additional demand, and the fact that Ballista isn’t set to rotate until next fall, there’s a lot of time for that price to creep up towards $20 between now March. I’m not advocating you run out and buy Ballistas or anything, but if you’re looking for something to trade for at your local store, you could do a lot worse. Perhaps one of the more intriguing decks at the moment is UW Approach, which relies on Approach of the Second Sun as a win condition. It started peeking over the horizon during the last few months, and with rotation, is poised to be this format’s control deck. It relies on answering everything its opponents do and eventually casting Approach of the Second Sun. Twice. What’s noteworthy about the lists from Dallas are that both have a dearth of rares and mythics. They aren’t even playing Torrential Gearhulk in the main deck this weekend. That may change, of course, but if that ends up being the default build, there will be scant few cards even capable of carrying a price tag in the main sixty. If that’s where we arrive, Fumigate stands a good chance of coming out on top. It’s the default sweeper for the format, and with it’s added ability to gain plenty of life againt pesky vampire players and answer the otherwise unanswerable Carnage Tyrant, it will do a lot of work in UW Approach, as well as any other strategy looking for a sweeper. There’s no reason to expect Fumigate to climb north of $10, but it’s not unreasonable that a key rare — and in fact one of the only rares — in the format’s control deck could climb to $5 or $6. Again, not a “buy them and stash them” plan, but a great pickup in local trades. Zac Elsik is as Zac Elsik does, and this weekend was no different. He took down the Standard classic with Grixis Improvise, which I expect nobody to know anything about. After all, why would you? The overall plan for Grixis Improvise is to flood the board with artifacts, which allow for a well-ahead-of-curve Herald of Anguish. Playing out an artifact on turns one, two, and three sets up a turn four Herald, which is a 5/5 flyer that makes your opponent discard cards every turn and can start killing creatures when you untap. Turn four may be a little bit of the dream, but even on turn five, which I’m sure you can get to basically every game, he’s still a savage monster (that doesn’t die to Fatal Push, ever). Herald’s appeal here is that he’s a mythic from a small set that’s currently $2 or less. Mythics that cost $2 or less that suddenly show up as a four-of in event-winning decks certainly draw one’s attention. If this has been the open, rather than the classic, I’d expect copies to be $6 or $8 this morning. With another high profile success, he could easily end up in the $10 to $15 range as the most important mythic in the deck. And if you’re not into Herald, Tezzeret the Schemer is also an important card in the list, with prices currently at $8. If Herald gets a spike, Tezzeret will be due for a double up.